Received e-galley from publisher for review. When Mallory’s boyfriend, Jeremy, cheats on her with an online girlfriend, Mallory decides the best way to de-Jeremy her life is to de-modernize things too. Inspired by a list of goals her grandmother made in 1962, Mallory swears off technology and returns to a simpler time (when boyfriends couldn’t cheat with computer avatars). 5. Do something dangerous But simple proves to be crazy-complicated, and the details of the past begin to change Mallory’s present. Add in a too-busy grandmother, a sassy sister, and the cute pep-club president–who just happens to be her ex’s cousin–and soon Mallory begins to wonder if going vintage is going too far. After Mallory discovers her boyfriend has been cheating on her with an online girlfriend, she swears off technology. Using 'The List' she found in her Grandmother's old house as guidelines, Mallory lives life like it was 1962! I love that as a reader I was introduced to the idea of living a vintage lifestyle at the same time Mallory was. We were learning how things were in the 1960's together, because of this, I loved the book that much more. 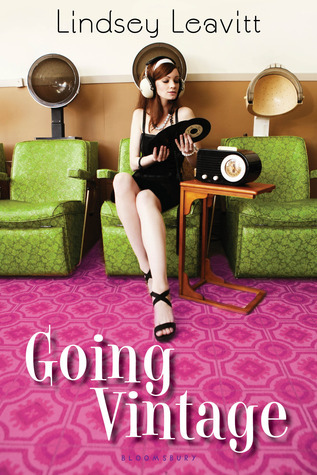 Mallory is sarcastic and determined in Lindsey Leavitt's Going Vintage. I found it extremely easy to like and relate to Mallory and the situation she was in. I mean really, who hasn't had to deal with a guy acting like a complete tool? In the words of Mallory: "Lists add a number to randomness, give ideas the illusion of order." I thought I'd honor her love of lists and write down five thing I loved about Going Vintage. 1. Mallory's sister, Ginnie, is just as witty as Mallory! I love listening to their sisterly banter and how they stick it out together in their plan of going vintage. 3. Mallory's family takes a trip to Disney Land and it may not be the perfect family vacation, but I had fun vicariously going on rides! I've only been twice, so I loved that the park was incorporated into the book. 4. I love how Leavitt discussed how technology has taken away the joys of just living in the moment, that 'now' is the best time there is. 5. The flow of the book felt easy and I didn't feel like there were any slow parts. I loved how the story ended and how Mallory's journey is just beginning! "I don't have a thing. How can I not have a thing? I've tried a million things, but nothing that I can claim. Nothing that I'm good at, nothing that's mine." Going Vintage is a fast paced read that takes you back to the good old days of the US of A! While having all of technology vanish from her life, Mallory learns that living in the moment is something that needs to be more appreciated and that moving on from heart break takes time. Aw thanks Sunny! 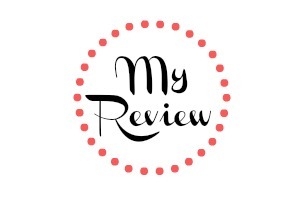 :) I'm so happy to hear you loved this book! Yay! You liked it. I look forward to trying it. I was so happy when I found out this is going to be published in the UK too, now I'm even happier becuase your review has made me believe I will LOVE it! Thanks for sharing Katie! Aw I hope you really do love it!! So happy to hear it'll be available by you! I really enjoyed this one too. Loved the relationship between Mallory and Ginny, and what a sweet romance! Glad you liked this one!! The cover makes me giggle! I love lists too and especially adored the sister-sister relationship; I'm a sucker for stories with that aspect. Me too! I'm an only child so I love reading/learning about a family dynamic. I loved that it wasn't the perfect relationship and that it had it's struggles, but that they worked it out in the end!